Sam Smith is not heartbroken anymore — sad and emotional, sure, but that seems to be a part of who he will always be. The heartbreak that propelled most of Smith’s 2014 debut, “In The Lonely Hour,” is a thing of the past. 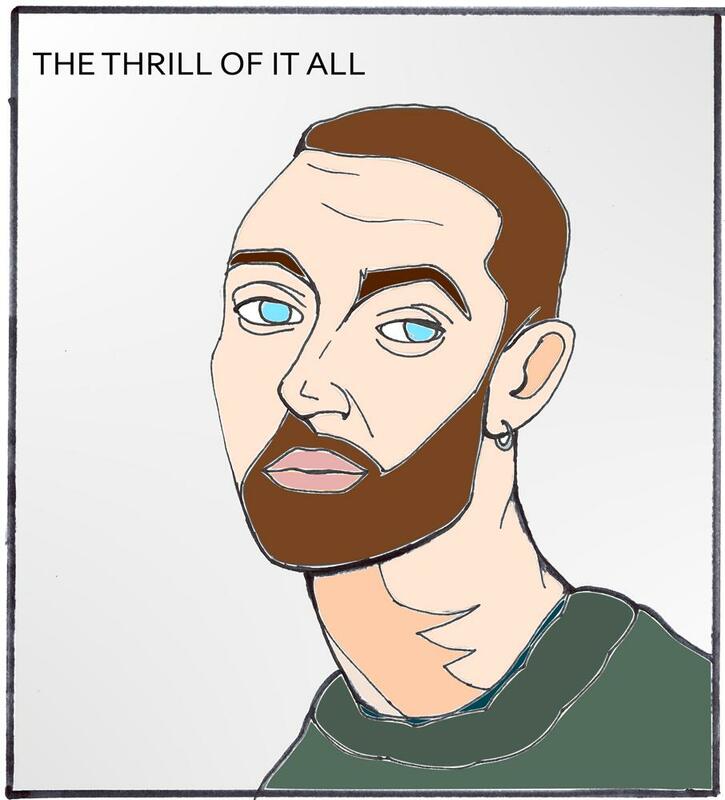 And while his new record, “The Thrill of It All,” holds onto the emotional honesty that Smith first captured ears and hearts with, the rawness is gone and Smith is in control. The new album covers a mix of sounds, though Smith’s best tool remains his voice. The songs are often at their strongest when his voice overpowers the music behind it in crooning ballads. But the album also excels in its gospel sounds — choirs come in behind Smith and add texture. Some of the music is more upbeat, but it’s in the slow moments that Smith truly shines. In Smith’s first album, he was deliberate in not using pronouns in his lyrics — he was living as an out gay man, but when asked about it, claimed that he wanted his music to have a universal quality. He didn’t want to alienate listeners whom he thought would not relate to a man singing about a man — even though that’s exactly what he was doing. In “The Thrill of It All,” Smith has abandoned this, perhaps most noticeably on the standout track “HIM,” in which he sings the story of a boy from Mississippi grappling with his faith and sexuality. “Say I shouldn’t be here but I can’t give up his touch / It is him I love, it is him,” Smith sings in a gospel-inspired ballad. While the song is apparently fictional and not about Smith himself, it’s a powerful moment on the album in which Smith finds new ways to be honest — ways that may not be his personal story but still reveal a kind of truth. But the lyrics often lack the cleverness necessary for music that deals with emotions which may otherwise come across as trite or immature. And young people are prone to making mistakes — when Smith won an Academy Award for his 2015 song “Writing’s on the Wall,” written for the James Bond film “Spectre,” he claimed in his acceptance speech that he was the first openly gay man to win an Oscar. He was not. It was an honest mistake, but the public attacked him for it anyway. This was the first time the public turned on Smith, who had been the golden boy of pop music since his album hit the charts, and this took a toll on him. He retreated from the public eye — even leaving social media for several months in 2016. But he’s stepped back into the spotlight in time for this album. It’s hard to be a public icon. And for Smith, that goes one step further — it’s even harder to be a gay public icon. But Smith seems to be embracing the role, if his new album is any indication. The music he’s writing now is unapologetic. Some of it is very personal, while much of it, according to Smith, is not about his own experiences but about the experiences of people around him. Either way, it’s exceptional for its earnestness. On the track “Pray,” Smith again grapples with faith. And in “One Last Song,” Smith writes one last time to the subject of heartbreak from his first album — taking back the power for himself, singing, “Maybe you’re listening / So here’s one last song for you.” He’s not despondent anymore, but he can recall that time and sing about it in a way that still lays himself bare. And this, too, is why the music is so relatable — Smith didn’t need to worry about pronouns because the relatability comes through the honesty of it. Listeners will understand these stories, even if they’ve never experienced them, because Smith relays them with such sincerity, without withholding. It’s surprising that the new album ends on a truly happy note — even the songs that are more upbeat on the album, the ones that aren’t even about heartbreak, are still tinged with a certain sadness that seems to be required for Smith. But the final song, “One Day At a Time,” seems to look forward. The song has the air of someone who’s not in love yet, but could be very soon.